Whilst an official obituary of Roger can be found here on the Independent newspaper website, this blog post is more of a personal perspective. 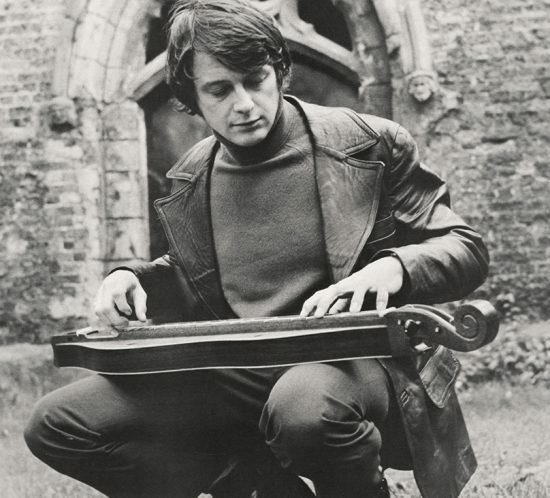 Roger was the most marvellous exponent of the mountain dulcimer and his original (mock) Elizabethan compositions and transcriptions of ancient lute tunes have yet to be surpassed on the dulcimer. During his life he recorded several hugely enjoyable vinyl albums with interesting and diverse collaborations with other musicians. His first album however, Nonsuch For Dulcimer with Steeleye Span’s excellent guitarist Robert Johnson, is an iconic masterpiece. I first met Roger Nicholson in his (then) North London home back in the 70’s when I was a University Student. His instruments, recordings and TAB notation were an inspiration to me at that time. We met again around twenty years later and the friendship that ensued resulted in us giving a series of concerts together in the London area, undertaking a US tour to Boston and the Adirondacks and recording a couple of duets for my Spirit Dancing CD (1997). Since that time, we kept in regular contact and we would often perform at Ealing Guitar Society, close to Rogers (then) west London home. Following a heart-attack in Damascus, Rogers health deteriorated in his remaining few years. Roger passed in a London hospital on a mild November day in November 2009 at a-quarter-to-three in the afternoon. Curiously, fifty miles away and at precisely that time, I was stopped in my tracks and suddenly thought of him. Roger was always very positive and encouraging of my own music and I regret not thanking him properly for that when he was alive. I was however privileged to give a seminar on Roger’s music at the Kentucky Music Week festival in 2010. I still play his beautiful piece Spring Season and often honour him by performing it in my concerts. 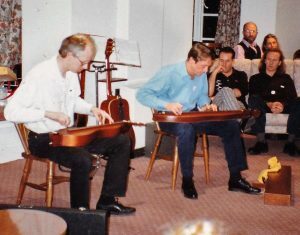 The above photo is courtesy of Celtic music and the photo below is of Roger (right) and myself (left) performing a duet at an early gathering of the UK’s Nonsuch dulcimer club back in 1996. Roger is a British country singer/songwriter with quite a number of CD albums to his credit, showing how prolific he is as a songwriter. His albums have a quality feel to them and are often recorded and produced in Nashville, Tennessee. 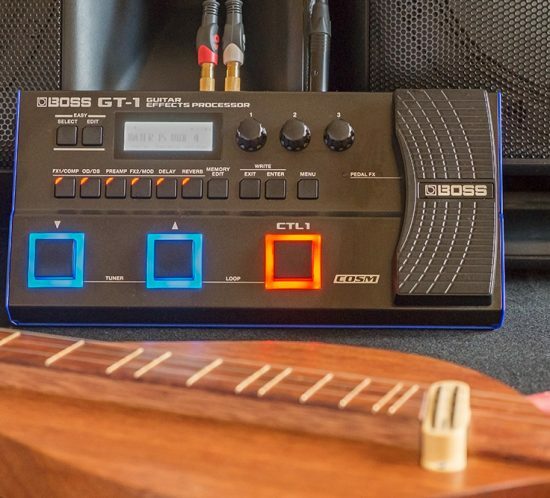 In the past I’ve used large, heavy, rack-mounted and mains-powered effects units but as I now need to fly to perform abroad, all my current equipment is compact and can be battery powered. I am also a big fan of Boss effects – they are tough, reliable and offer great sounds and high sound quality. Flying with instruments has never been more difficult. As well as airlines mistreating fragile instruments and Customs’ concerns over illegal importations, there is now a new challenge: CITES. I would like to share what I know (at this point in time) and my understanding of the risks to help other musicians who cross borders with their instruments. Why ? because, incredibly, Customs officials now have the right to confiscate and destroy instruments that do not comply with the new rules. Please note: this article is written for musicians. Makers & sellers who import / export instruments will need to undertake more relevant research. 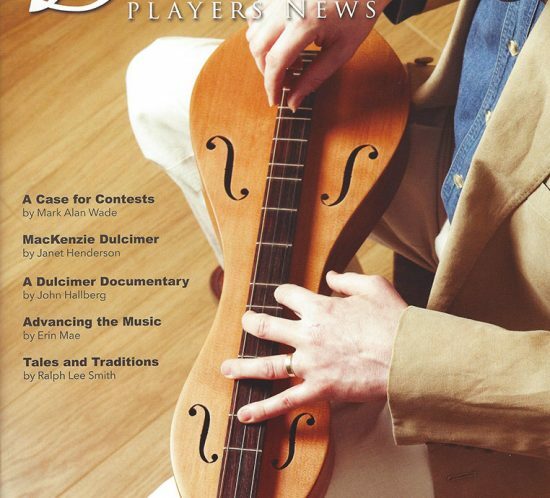 Those of you who are familiar with my music will know that I play the dulcimer (and guitar) mostly finger-style. 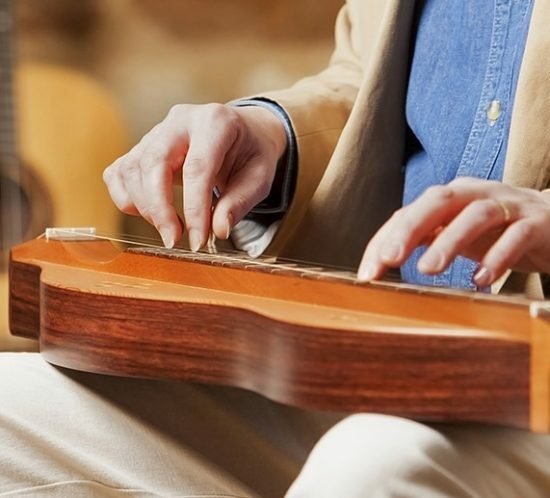 To me, fingerpicking is one of the prettiest ways of playing the dulcimer. This article outlines what I see as best practice fingerpicking technique and it should help you play fingerstyle too, should you wish to do so. Listening is hearing with intent to understand. It is a discipline that requires patience and focus. Listening is perhaps the most important skill a musician can acquire. The more you develop your listening skills, the better you will understand music and the better you will play, both solo and with others. Equally import perhaps, if you listen well you will win the respect of industry professionals. 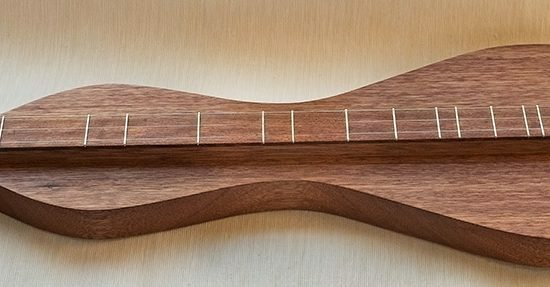 Close your eyes and imagine mountain dulcimer history and the pros who play these beloved instruments on this side of The Pond. 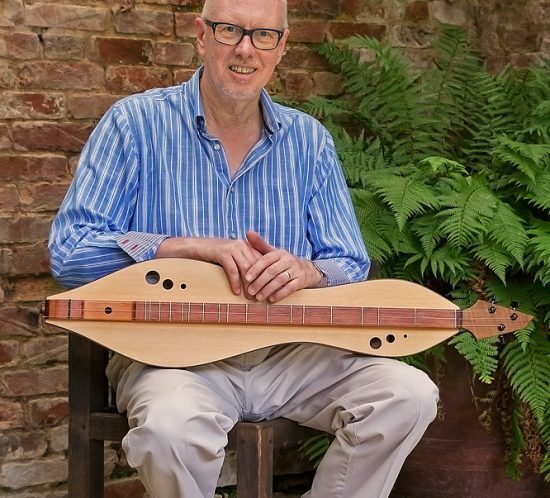 Now, open your eyes and meet Dan Evans, the UK’s premier English dulcimer player. Dan shares his unique perspective on our beloved instrument and his history as a musician and composer. 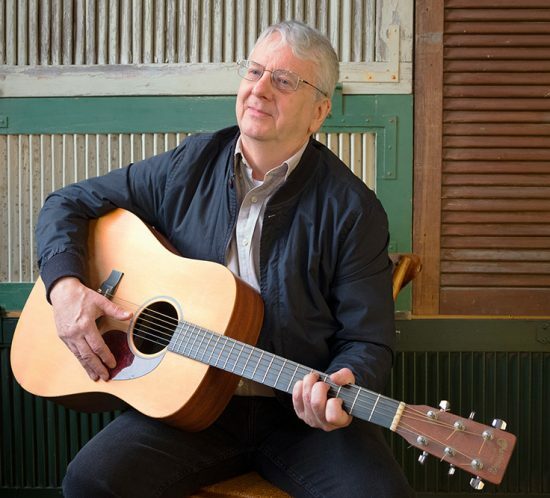 He returns to the United States in June for another international tour, starting with a concert for the players and friends of The Grand Old Dulcimer Club in Nashville. So, sit down with a cup of tea and enjoy a bit of his story. You’ll discover Great Britain’s leading dulcimer musician offers plenty to inspire beginners as well as advanced players and teachers.